Make these wonderful diamonds scrappy or bold! Perfect size for a lap or baby quilt. 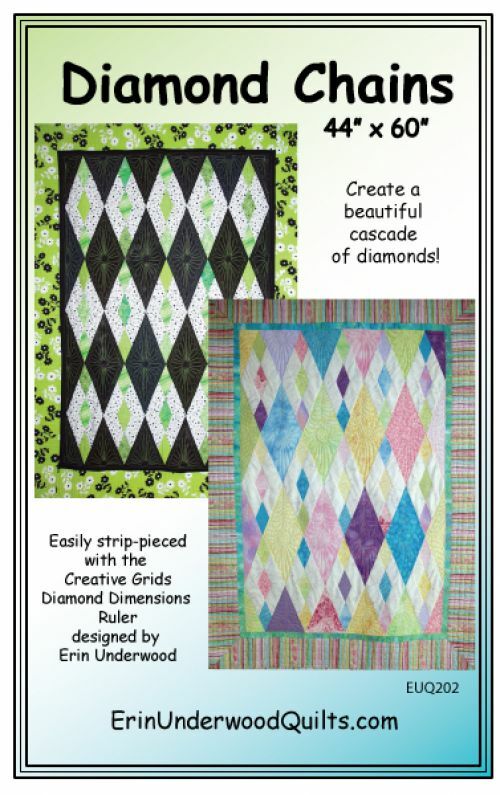 This pattern uses the Creative Grids 45-degree Diamond Dimensions Ruler designed by Erin Underwood. 44" x 60" .